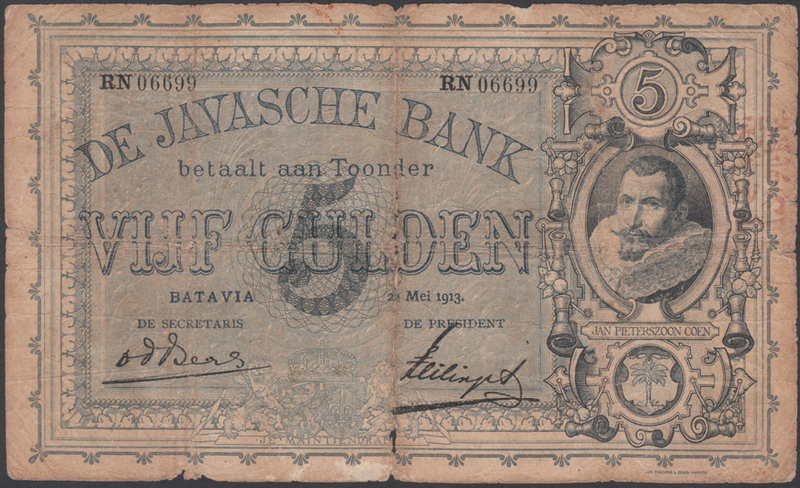 All banknotes issued by De Javasche Bank in the Netherlands Indies during the period 1864 till 1931 and printed by Johan Enschede en Zonen, carry a security code, printed on the lower right corner of the reverse. 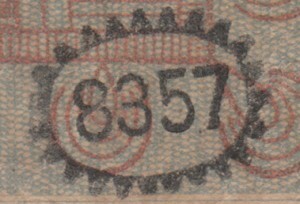 The code is printed black in an elliptical stamp with triangular shapes pointing outwards and has 4 or 5 numbers. 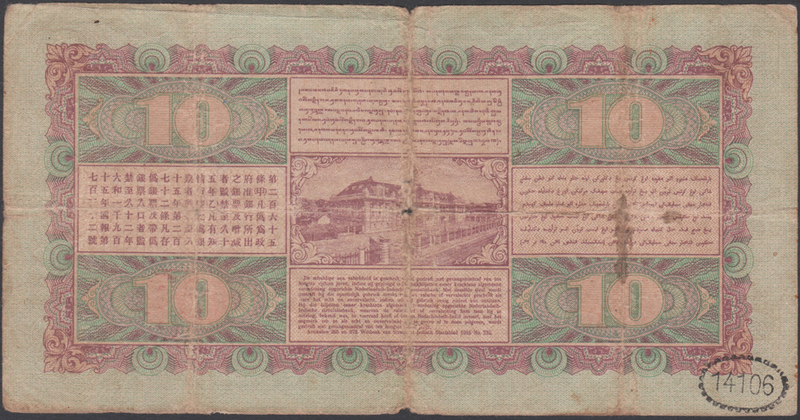 Lower denomination state notes issued during this period do not have this security system. 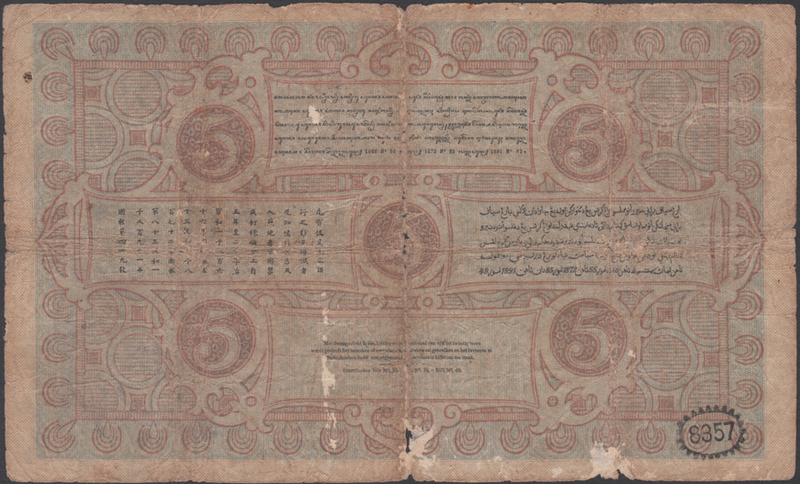 Collectors that are familiair with the Netherlands Indies banknotes of this period will probably have noticed that there is a relation between the date of issue and the security code. Although it looks like the later the date the higher the number, in reality this is not always the case. – There are no different serial number character combinations of a specific denomination with the same security code. It is safe to conclude that all ranges PX, PY, PZ, RA, RB, RC, RD, RE and RF were issued on October 11, 1927. 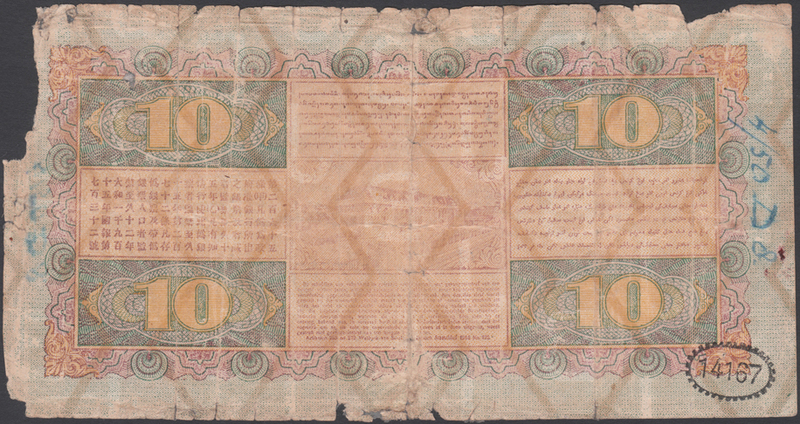 It is unclear if the security code really prevented counterfeiting of these banknotes. 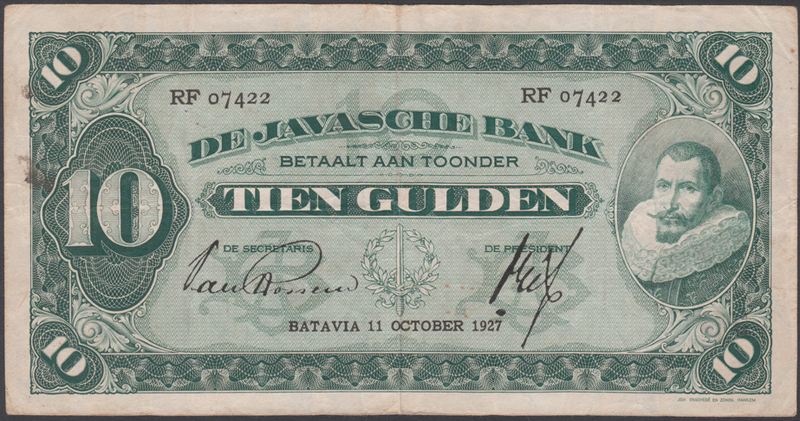 The above forgery note shows that counterfeiters were able to print good quality falsifications and used security codes that were close to the real security codes ranges used by De Javasche Bank. 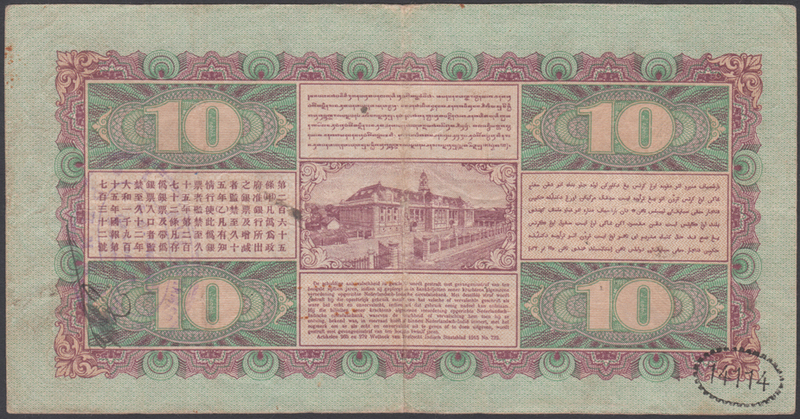 The security code system was in use for many years, therefore counterfeiters must have been in the position to figure out the structure during those years. In the above case the character combinations of the serial number have a 1-to-1 increase with the security code. This is most often not the case since also other denominations were issued on the same date. In those cases the security code is assigned randomly to the different issues, however the rule that one securrity code is connected to one character combination of one specific issue remains. 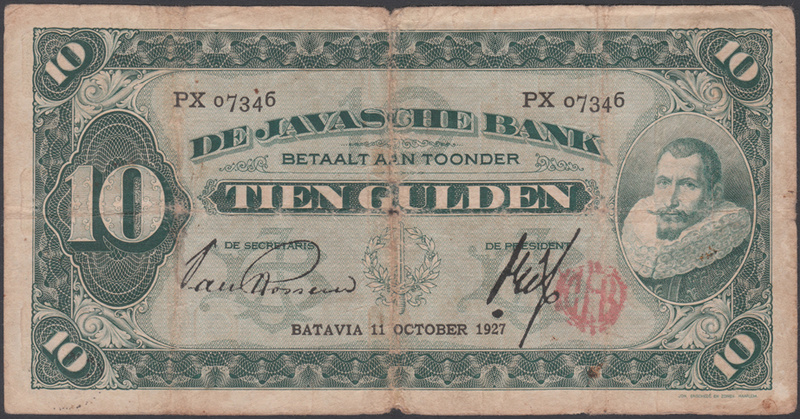 Obviously the Dutch administered Bank will have kept detailed records of the security codes and the dates and serial numbers of all the issued banknotes. 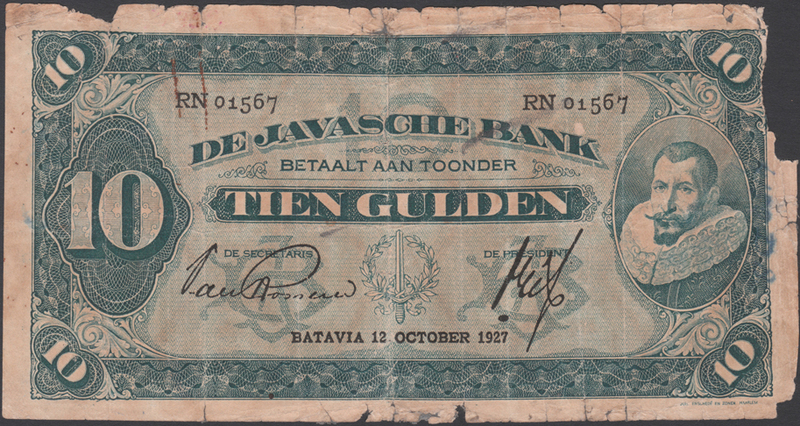 It is unknown if these records of De Javasche Bank still exist in archives somewhere today.